Malta Maritime Directory :: YARE 2016 - 6th/8th of April The sixth edition of the exclusive business event of the Superyacht sector. Comment about: YARE 2016 - 6th/8th of April The sixth edition of the exclusive business event of the Superyacht sector. YARE 2016 - 6th/8th of April The sixth edition of the exclusive business event of the Superyacht sector. 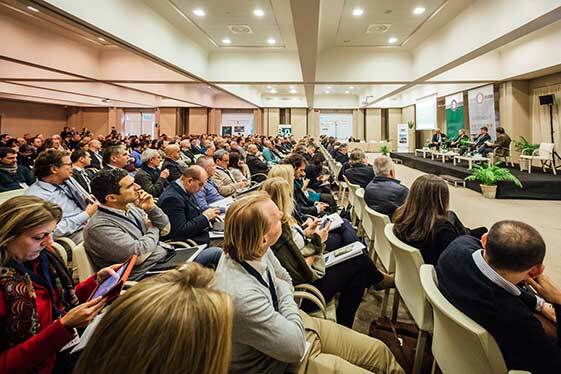 Tuscany hosts the event dedicated to refit and aftersales, one of the most important international happenings in the sector. Intense days of business, networking and meeting for the Superyacht industry: international Captains and the best of Italian and foreign companies of the sector. Together with the 14th edition of Seatec and the 8th edition of COMPOTEC. The 6th edition of YARE (Yachting Aftersales & Refit Experience) - the original and exclusive Italian event and one of the few taking place to an international level, dedicated to the Super and Megayacht sector - is scheduled from 6th to 8th April. YARE will take place, as usual, together with the 14th edition of Seatec (international exhibition technologies, subcontracting and design for boats, Megayachts and ships) and the 8th edition of Compotec (International exhibition composites and related technologies), within the area of Carrarafiere. The event schedules the awaited conference Superyacht Captains’ Forum (the international forum on the state of the nautical world and thematic workshops) organized by the international media partner The Superyacht Group and the B2C - MEET THE CAPTAIN meetings, a unique format with face-to-face meetings between Companies and Captains within the YARE CAPTAINS’ LOUNGE, where seminars, cooking shows and themed events will be held, too. In addition to these events, YARE maintains its innovative formula as district and territorial marketing event, offering the opportunity to Captains and Companies to enjoy a special program with meetings, tours and social and leisure activities. More than 100 international Captains have participated to the last edition of YARE (reaching the maximum capacity for a B2C meeting), coming from UK, Ukraine, Turkey, South Africa, Spain, Russia, Romania, New Zealand, Lebanon, Greece and of course Italy. A delegation with an increasing number of participating Captains with yachts from 40 to 60m (46% of these Captains manage a yacht within these dimensions) which navigate mainly in the Mediterranean, the Caribbean, and a market range of larger yachts in which our country is the leader - with 8 brands within the first 10 in the world. As for the 120 companies that had participated in 2015, the foreign presence (Principality of Monaco, France, Malta, Croatia, Montenegro, Corsica, Spain, Switzerland, United Kingdom, Germany, Belgium, USA and Finland) was approximately 50%. From northern Europe shipyards and ports and marinas of the Mediterranean to suppliers of lighting systems, electronic, carpentry, to yacht management and crew management companies, law firms, insurance companies, shipping registers. With an equally qualified presence of domestic companies (Friuli Venezia Giulia, Liguria, Lazio, Umbria, Campania, Sardinia and Sicily) and the districts of Viareggio, Pisa, Marina di Carrara, shipping agencies, services providers and refitting companies. About 800 B2C meetings held in the last edition. YARE is organized and promoted by NAVIGO, center for the innovation and the development for the nautical sector and by PENTA, which gathers more than 450 associated companies in the sector, among which there are the main manufacturing shipyards of the area, major suppliers, yacht managers, on-shore and quay service companies, ports and the major trade associations. Supported by Carrarafiere and the promoting commitee composed by Comune di Viareggio, Toscana promozione, Provincia di Lucca, Camera di Commercio di Lucca, Lucca Promos, Assindustria Lucca, CNA e Confartigianato. A key and involving annual event, very appreciated thanks to the participation and live interventions of Captains. The Forum explores the status of the sector, its dynamics and its future perspectives, from an international point of view and with a look to the specifics of Italian sea-district. Organized by Superyacht Events and The Superyacht Group. An original and interactive format, very appreciated by Companies. Sessions with a limited participation availability, focused on specific issues of interest for Captains and Companies, gathered around round tables. The greatest strength of Yare are the Face-to-Face meetings between Captains and Companies. An informal, fast and effective way to meet 100 international Captains, Chief Engineers and Yacht Managers. YARE will have a dedicated area at Seatec. A corner for Companies and an area dedicated to workshops, activities and showcooking. 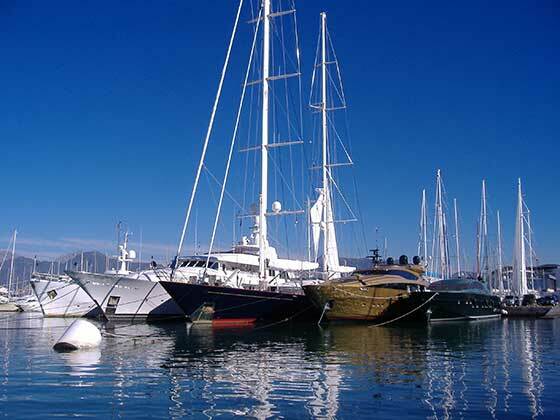 A tour of the renowned nautical district of Viareggio, unmissable for Captains. Social and leisure activities are planned in the charming surroundings of Versilia (Viareggio, Pietrasanta and Forte dei Marmi).